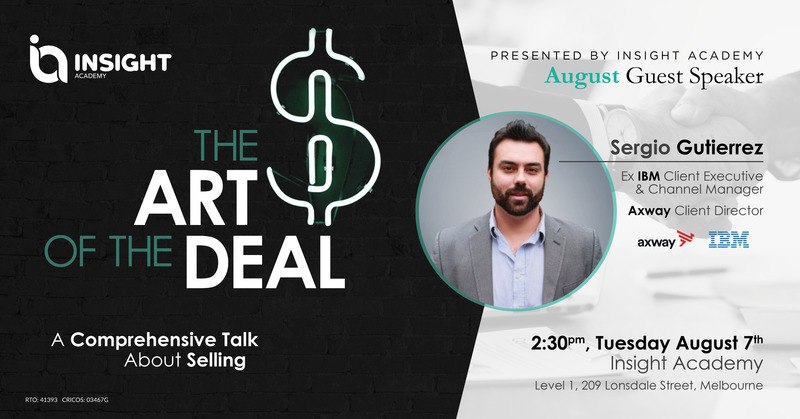 Learn the best sales and negotiation tricks, meeting control, pipelining, preparation, follow up and psychology of learning from Sergio. Closing, Consultative Selling and More! Sergio Gutierrez has closed more than 60 MM USD in Deals in the technology space, working from Startups to one of the largest Corporations on earth. Client Director, Axway, and Co-Founder, Sourced News.